How to initiate and implement a structured, step-by-step process that will lead to a more sustainable business model and increased competitiveness. 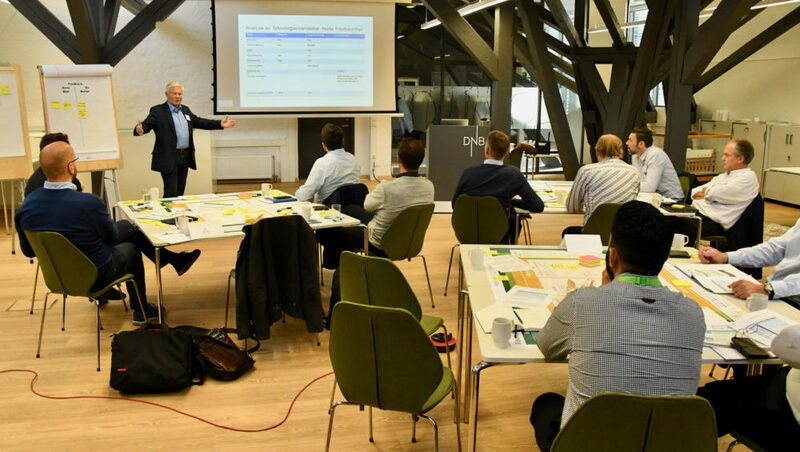 The project develops and utilises a tool based on a methodology called Flourishing Business Canvas, which can be seen as an extension of a traditional Osterwalder business canvas. In the flourishing business canvas, societal and environmental issues are taken into account, in addition to economical ones. The canvas provides various methods and measures companies can apply to achieve the goal of increased productivity and competitiveness. A new GCE NODE project aims to develop a tool-box to assist SMEs accelerating the digital transformation through an effective action plan. Four GCE NODE companies take part in a new project designed to develop and grow their businesses.